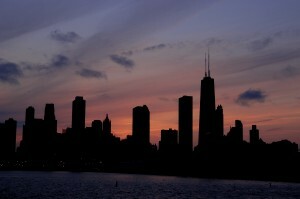 Are You Prepared for the American Blackout? Well timed, NatGeo, well timed. Inside the package were previews of the new American Blackout movie and season three of Doomsday Preppers. So of course we had to watch them, and I think you’ll want to as well. Why? Well, let’s start with American Blackout. 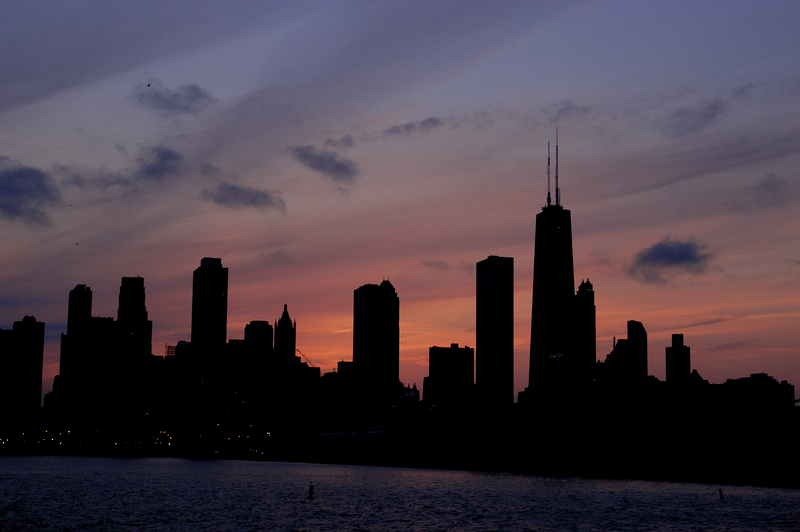 American Blackout tells the story of a 10 day nationwide blackout caused by a cyber attack. The film follows five different groups through the blackout and sprinkles in some home video clips from people in real power outages as well as statistics and information about the all-too-possible scenarios that are presented. How does the prepper family fare? What about the young couple expecting their second child or the college students trapped in an elevator? You may be surprised how things work out. The film is presented through the lenses of the individuals, so you feel like you’re watching their personal home videos throughout the show. Definitely some food for thought presented in this movie–especially if you haven’t considered a long term power outage as part of your preparedness plans. 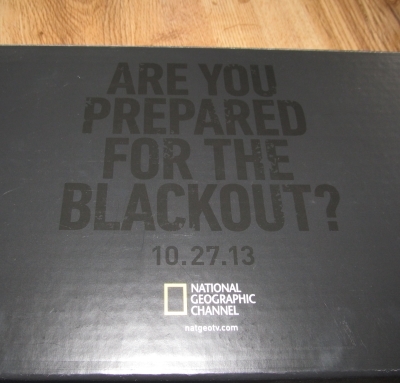 American Blackout airs on Sunday, October 27, 2013 at 9pm eastern on the National Geographic channel. Season three of Doomsday Preppers is advertised as focusing on the build, and the show delivers. By focusing on only two different preppers each show, they allowed a lot more time for each than the previous episodes that tried to cover three different preppers each. This time is spent focusing on some of the projects these preppers are working on to prepare their family. Now, you’re not going to get step by step instructions on the show, but you’ll get a pretty good idea how things were done so you could do something similar if you wanted to. The NatGeo channel is also providing information on their site for budget versions of some of the prepper projects created by Rick Austin and Survivor Jane. In the season opener, we meet Rodney Dial and his family in Ketchikan, Alaska who are preparing for an earthquake and resulting tsunami. He’s got a great idea for caching extra preps under water. Like a survival cache you’d hide on land except his are sunk in the sea. Really slick. Oh, and he’s also got a tank. Seriously, my son was loving this episode, as will most men who love big trucks. 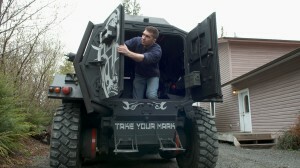 The second prepper on episode one is Curt and his family in Oregon. Curt will also keep bug-out-vehicle lovers drooling with the part of his segment spent armoring and testing an old Suburban. But what happens when the family encounters a real emergency and actually has to bug out in the middle of the build? I know the suspense is killing you. Just tune in and watch to find out how they handle it. Doomsday Preppers season three opens Tuesday, October 29, 2013 at 9pm eastern. I like the format of the show a lot better this year. It’s not as rushed and they’ve adjusted the expert assessment again. No crazy score, just some things that they feel the prepper is doing well and some they feel could be improved. Doomsday Preppers has always been an entertaining show, and this year it looks like they’re trying to sway a little bit toward more education. But maybe that’s just how I see it. How do you think the “end of the world” type shows lately like World War Z, Revolution, American Blackout, and Doomsday Preppers, affect the preparedness movement? Are they positive or negative or a little of both or neither? Inquiring minds want to know! Take the poll below or leave a comment with what you think!